For the different demand to different people, the raw material to produce cultural paper is different also. Wood pulp, waste white shavings, waste book, newspaper and other waste white paper with ink all can used for produce cultural paper. 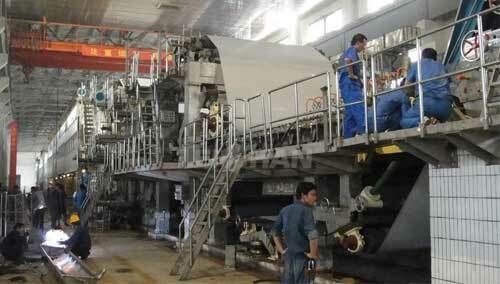 The cultural paper making line price is different according to the raw material. Wood pulp making line is simple compare with other paper making line, but it’s raw material is pretty expensive. Raw material with deink need deinking line(H.C.Hydrapulper) to remove ink particles, though the output paper is not very good compare with wood pulp, but it’s investment is relatively small. Except stock preparation line, Leizhan also supply paper making machine for paper mill, you can establish a complete paper making line from Leizhan, our professional engineer will give the most reasonable advice to save your budget and energy consumption. Welcome to consult us for more details: leizhanchina@gmail.com.